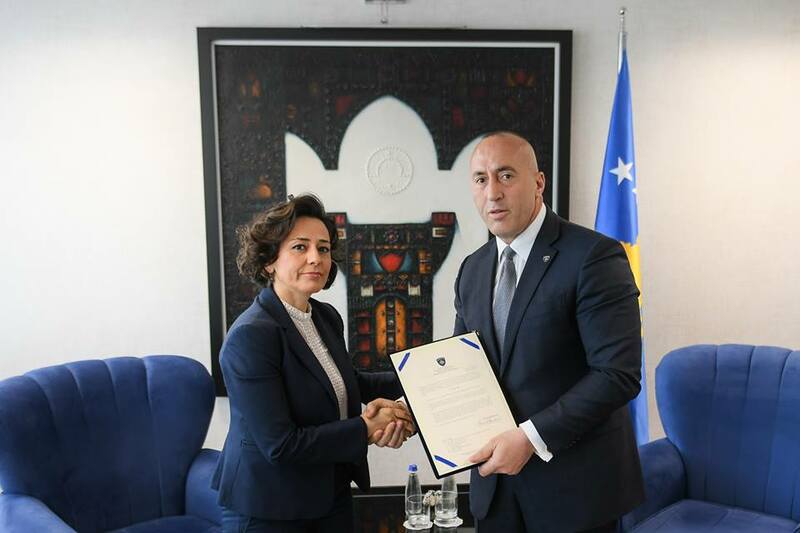 Kosovo’s Prime Minister, Ramush Haradinaj has appointed Adriana Hoxhiq as new Minister of Local Governance. “Today I have appointed new Minister of Local Governance Adriana Hoxhiq, aiming to empower women in decision-making as well as strengthen ethnic communities’ representation. Adriana has shown great committment to public service & expect we will jointly advance Gov priorities”, Haradinaj said. Before being appointed as minister, Hoxhiq acted as head of Administration at the northern Municipality of Mitrovica. Her appointment in this post comes following the decision of the head of the government to fire her predecessor, Ivan Teodosijevic for “the use of hate speech and unacceptable statements”. Meanwhile, two weeks ago the PM also fired deputy minister of Justice, Vesna Mikic. Both of these officials had denied the crimes committed by Serbia during the war in Kosovo in 1998 and 1999, while accusing Albanians of terrorism and for making up these massacres.